City: Huntersville, NC "I called Antonie's at 8 pm at night, and he happily came within 30 minutes and repaired my irrigation leak. I didn't even know what he was going to charge me! He was professional, courteous, and very neat in fixing the leak. He explained thoroughly everything he was doing throughout the entire repair, and his final fees were reasonable. I will recommend him to my neighbors and friends. Excellent work! Outstanding customer service. Thank you Gaby!" 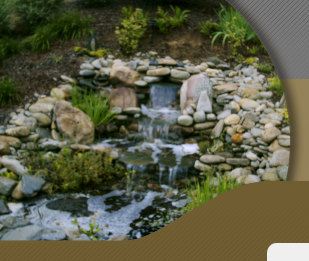 City: Huntersville, NC "After noticing a leak in my irrigation system, I called Antoine. He returned my call within a few hours and showed up that same day...right on time. He quickly identified the problem and agve me an estimate up front which included parts & labor. During his repair, he realized that new parts were not necessary and indicated they the existing ones just needed to be tightened. He completed the job in a timely manner and saved me money. Antoine is an honest and reliable individual and I would recommend him to anyone! My sprinkler system had been down for a few months; however, after speaking with Gaby that morning my system was fixed within hours on the same day. Fast, efficient, polite and understanding with no nonsense pricing, a pleasure to do business with!" May 30, 2006 "Gaby was a true professional...came over did exactly what I requested and even gave me good advice about my systerm...I would not have a problem recommending him to anyone. Kathy T"
Antoine's Sprinkler came over, fixed the problem in about 10 minutes, then started to fix other issues with the previous installation (from another sprinkler install group). He gave me helpful tips and did it all with a great attitude and positive manner. I would definitely call him again and would recommend him to a friend!" Project:In ground irrigation system had numerous leaks, badly adjusted heads and 2 broken heads -- one of which was broken off at the in ground PVC. Member Comments: In record time, Gaby repaired everything, educated me, as necessary, about our system, and charged me a reasonable rate. Gaby also contained my costs by virtue of smart planning. In addition, Gaby gave me helpful advice about our lawn in general. He was prompt, kind and friendly to deal with and extremely knowledgeable. Overall A Price A Quality A Responsiveness A Punctuality A Professionalism A Additional Questions Answered when completing this report How much did the final cost compare to the original estimate? n/a How does the value of the work compare to the price? I got more than my money's worth How far in advance did you schedule the work? within a week Did you find the company through Angie's List? yes If yes, which source(s)? website Why did you choose this contractor? reputation Have you used this company before? this is the first time I've used this company What did you like most about this contractor? Superlative service. What did you like least about this contractor? Nothing! What surprises came up during the course of the work? Couldn't find in ground sprinkler control box for 1/2 the sprinkler heads! What words of advice would you give other members considering this contractor? Do it! What words of advice would you give this contractor? Keep up the great work. Member Comments: I was very pleased with the service. Antoine was very knowledgeable and friendly, he explained my problem in depth and solution that was required. I would use his service again. Overall A Price A Quality A Responsiveness A Punctuality A Professionalism A Additional Questions Answered when completing this report How much did the final cost compare to the original estimate? n/a How does the value of the work compare to the price? I got more than my money's worth How far in advance did you schedule the work? within a week Did you find the company through Angie's List? yes If yes, which source(s)? website Why did you choose this contractor? location, reputation Have you used this company before? this is the first time I've used this company What did you like most about this contractor? He was very friendly. What did you like least about this contractor? nothing What surprises came up during the course of the work? nothing What words of advice would you give other members considering this contractor? Call him. Comments: Some of my sprinkler heads were broken, so they replaced them. Description Of Work: Timely and patient service of existing sprinkler system with detailed (yet modest) recommendations for enhanced water flow. Most importantly, replaced and educated customer on newly installed control box (previous unit was over 10 yrs old and dysfunctional). Skilled and talented craftsman with good prices and great service. Description Of Work: The system was not functioning properly. The first zone would not stop running when other zones started or even when the system was shut down. Several heads were also not working properly. Description Of Work: Antoine's Sprinkler Repair came out to look over my entire sprinkling system. Following the review he changed out six sprinkler heads. Member Comments: He spent about an hour at my home doing the review and the changes. When I went to pay him, he told me that he gives every first time customer fifty dollars off of their total cost, which I thought was great. I would have been happy with the price before the discount. He did a very good job, and I think that he is everything that he claims to be. He was a very nice guy and he was good about explaining things to me. I give him all A's. system adjusted to better cover our landscaping. Member Comments: We had an excellent experience with Gaby from start to finish! Description Of Work: I had an old sprinkler system which was in need of repair, and also needed some additional irrigation in areas that were not covered. Member Comments: Antoine arrived exactly when he said he would. We reviewed the entire system, discussed what I wanted and he explained his recommendations and what they would cost. He told me about how long it would take and the cost per hour. When he had a question, he checked to make sure we were on the same page. Overall A Price A Quality A Responsiveness A Punctuality A Professionalism A Additional Questions Answered when completing this report How much did the final cost compare to the original estimate? right on How does the value of the work compare to the price? I got exactly what I paid for How far in advance did you schedule the work? within a week Did you find the company through Angie's List? yes If yes, which source(s)? website Why did you choose this contractor? reputation, other, I liked what the other Angie's list users said Have you used this company before? this is the first time I've used this company What did you like most about this contractor? Very professional, but also friendly and pleasant to work with. What surprises came up during the course of the work? Antoine discovered a buried sprinkler head and was able to use the line to irrigate that part of my yard. What words of advice would you give other members considering this contractor? Very good service provider. It helps to have gone through your system in advance and to think about what you want/need. What words of advice would you give this contractor? None- he is a professional and a pleasure to work with. This is your space. Feel free to give us your two cents ... or quote your favorite movie? I will definitely use Antoine again and recommend him to others. He deserves his reputation as a top quality Angie's List provider. and friends. Excellent work! Outstanding customer service. Thank you Gaby!